Soak up the signature sights of Madagascar’s capital, including the UNESCO World Heritage–listed Ambohimanga, on this door-to-door tour, the perfect introduction for first-time visitors. 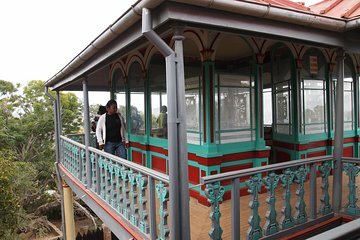 Spend the morning exploring Antananarivo: Lac Anosy, Rova—Le Palais du Reine, the Andafiavaratra Palace, and the cathedral, plus markets, shops, and more. After lunch tour Ambohimanga (Blue Hill), a sacred place reserved for royalty for centuries.